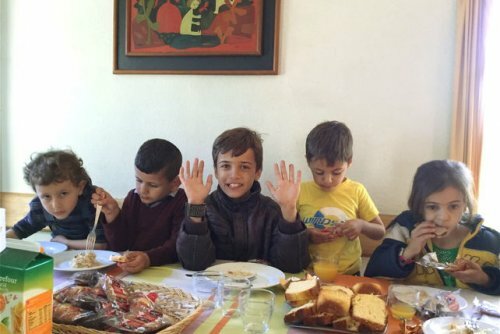 For several months now, the Taizé Community has been in contact with the French authorities and the Association “Relief & Reconciliation for Syria” to bring a family originally from Syria. Wednesday April 27, the two parents and their four children finally arrived in Taizé. They were welcomed by the brothers, by volunteers from the area and also by the two Arab-speaking families already at Taizé, one Iraqi-Egyptian, the other Iraqi. Eastern Christians welcoming a Muslim family: a beautiful sign of hope in the tragedy which the Middle East is undergoing today.